Report written by Ingeborg Kuijlaars; Pictures by Get Horizontal’s Wouter Struyf. 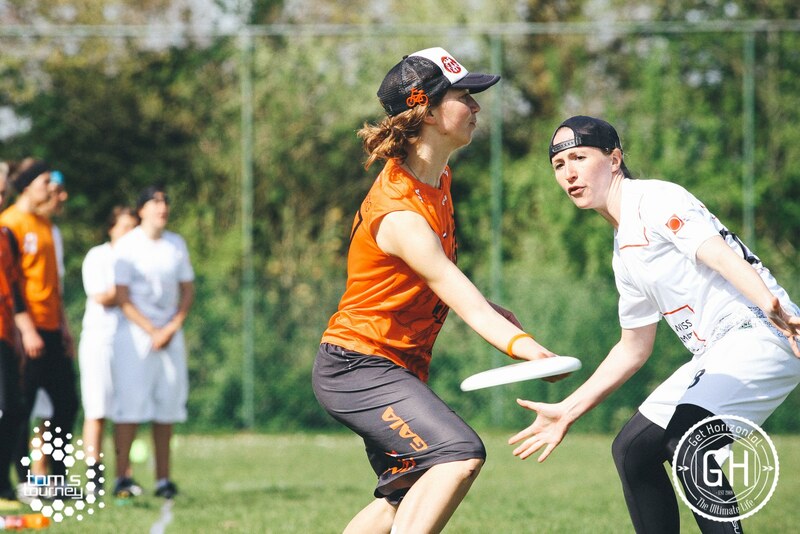 For the Dutch National Women’s team Tom’s Tourney was a weekend of firsts: our first tournament playing as a team crammed with personal team successes and struggles. The two first games also brought in our first two losses against strong Danish and Swiss National Teams. Our game against the Danish was a difficult search for our offensive connections. We went down early, yet our focus brought us several scores towards the end to soften the blow of defeat: 4-8. The Swiss were a more merciless opponent earlier on taking a quick 0-4 lead. Thereafter we managed to find to a greater extent our offensive flow and roughly traded points to make it 7-12 after time. Our final game of the day became our first win. Playing against Mantis our D-line, already working hard for us in previous game, really got into the zone (we literally tried a new zone in this game and it worked really well) and basically won us this game. Their three point run gave us a nice buffer and enabled us to secure a final score of 12-8. Our final pool match took place on Saturday morning. Our match against the Irish National Team would be to many our best game of the weekend. Not only was this our first win against a fellow national team (spoilers: there was another one! ), but this was also perhaps the game in which we could most clearly see what beautiful things our offense was capable of. Now clearly our ambition to do well at Tom’s was from a team-building point of view, but our two victories did secure us the third place finish in our pool and kept us in contention for a 9th place finish. We carried our victory against Mantis and came out victorious against Micz. We took a lead early on despite a shaky zone defense. 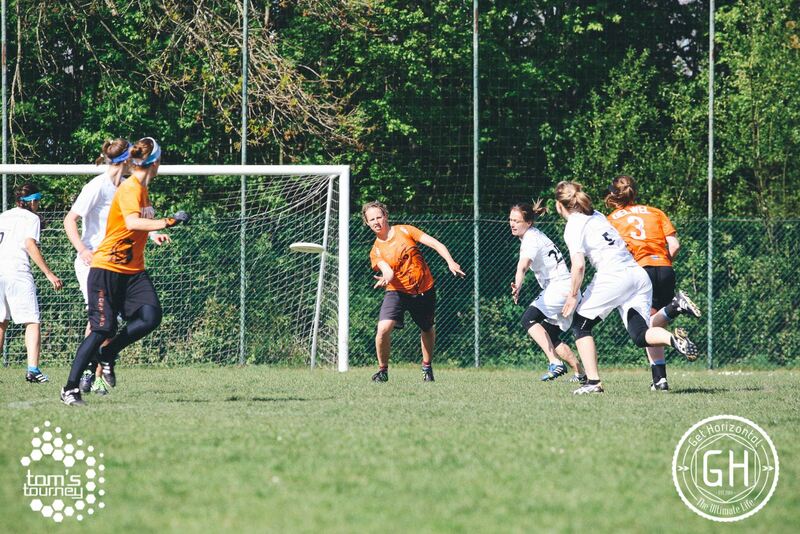 Micz proved unfazed by our man-defense however, so we switched back to a few different zones and capitalized on their few misfires to take the victory 10-6. Our next opponent Tequila Boom Boom simply outclassed us. We struggled to curb their deap threat and overthrows on offense added to Tequila’s dominant victory: 6-14. Our final match of the day was our quarterfinal in the 9-16 bracket against the Danes, this time the Masters edition. The joint dancing warm-up set the right tone for what would become an intense match. After an even start the Danish side utilized their killer inside breaks to take a three point lead. Adjusting our defense we fought back; and while momentum seemed to be on our side, we ran out of time to turn our come-back into a victory. This loss put us in the 13-16 bracket and had us facing the Spanish National Team the following morning. We took the lead against a very passionate Spanish side. Although they threatened to come back throughout the entire match, points tended to fall our way accumilating to a decisive 8-3 victory. 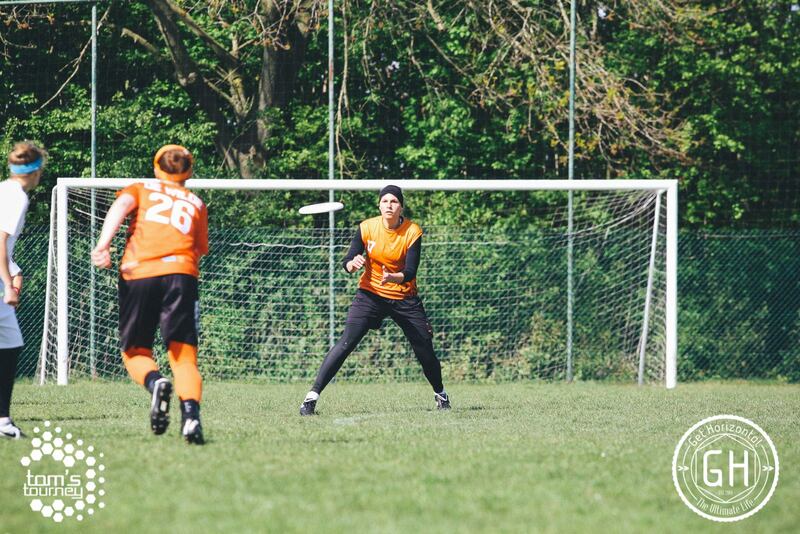 Had Tilt, a fellow Dutch women’s team, won their match against Micz that morning, it would have been an orange battle for 13th place. However Tilt lost that match on universe, so we would face Micz yet again and test the well known saying that you cannot beat the same team twice at the same tournament. Micz was on fire from the start of this tense match and took the lead. The Dutch were working hard to realize their come-back when a seemingly clean handblock by Valentijn and resultant Callahan score by Becs was undone with a foul call. This denied goal might have given the Dutch an upper hand in their struggle for victory. Instead Micz remained on top and pulled away for a decisive 5-9 victory. The Dutch National Women’s team ended 14th. This final loss was definitely difficult to stomach, even with the Swiss chocolate provided by a much improved performance in Micz’s spirit game to soften the ache. We circled up one last time that weekend and were reminded to look past this particular defeat at the successes of this weekend. Both on and off the field we had grown as a team. (We didn’t know it at the time, but we had done so showing solid spirit: 3rd place finish!) Granted, there is plenty of room for improvement; but Tom’s has shed light on where we are and where we want to go. Most importantly, our work at Tom’s has brought forward a lot of important insight into how we can get there. Next on the agenda: the 23rd of May. This will be a full day with team-building excercises, a training, and the exciting prospect of a 19:30showcase game against the French National Women’s Team. With similar goal differences against the same Tom’s Tourney opponents (although the French fared better against the Swiss), it will be interesting to see what happens when these two teams meet in two weeks time. Come cheer us on to victory!